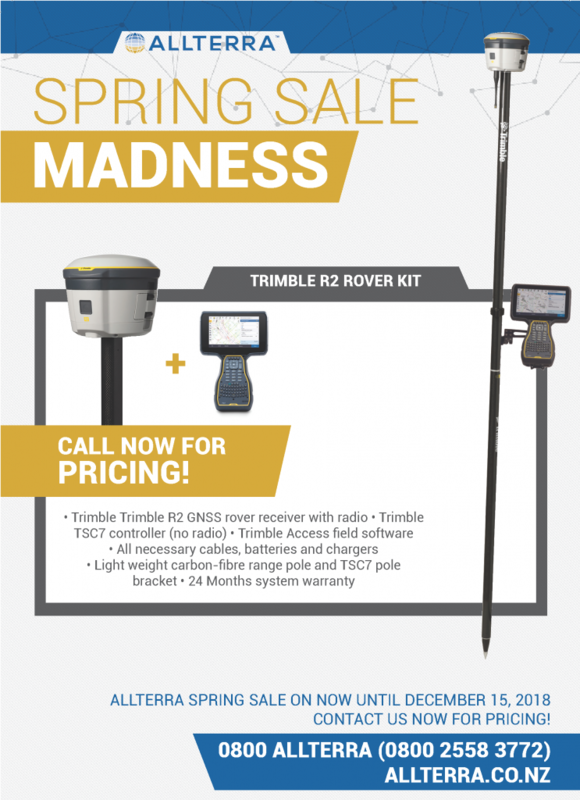 Spring into summer with our GNSS Rover Promotion. Combine Trimble’s cutting edge GNSS technology with the rugged, ergonomic controller that delivers the power and flexibility of Microsoft® Windows® 10 Pro and Trimble Access™ software on a seven-inch touch screen. 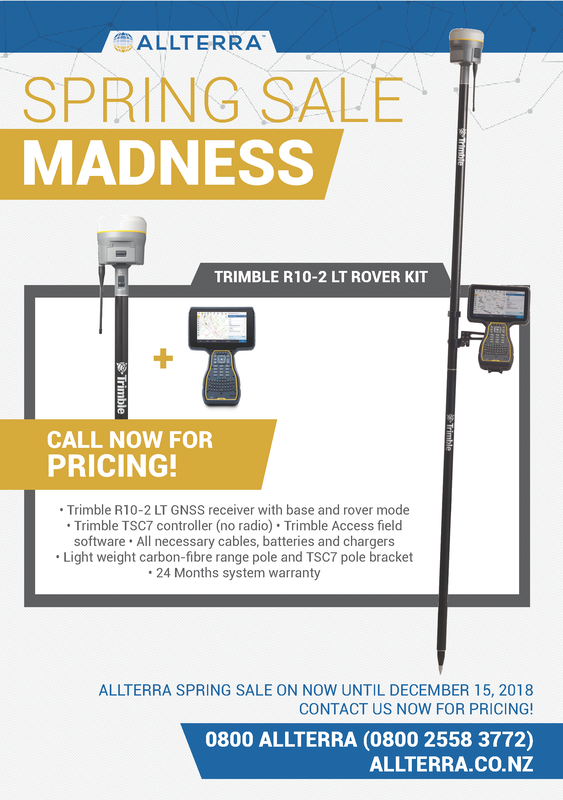 Let a Trimble R10-2 LT or Trimble R2 with the Trimble TSC7 controller be your go to GNSS rover for all your surveying needs. Or go next level and add a Trimble SX10, the only true laser scanning total station for the ultimate surveying package! Catalyst has taken top honors at the 2017 NZ Spatial Excellence Awards, securing the Supreme Excellence Award and the award for Innovation & Commercialisation. Bringing together innovators from the NZ spatial industries, the awards recognise products or projects that made a significant contribution to the industry through the introduction of a new idea, method, technology, process or application resulting in social, environmental and/or economic benefits. “Trimble’s innovation, called Catalyst, allows positioning measurements to be more cost-effective and accessible to a much wider audience without compromising accuracy” says Hadyn Smith, NZSEA chair. “Out of all the entries, this promises to have the most impact. It stood out for its immense potential for delivering survey accurate measurement solutions using widely available mobile means – its professional and public reach, therefore, cannot be underestimated” commented the award judges. 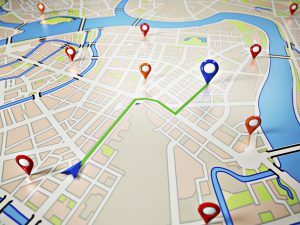 With increasing processing power, high resolution graphics and the connectivity to deliver spatial data to their users, smartphones and tablets have become a low cost data collection tool. With these increased capabilities a broad range of mobile apps have become available, however their use in the spatial industry has been limited by the accuracy of the internal GNSS receiver in the mobile devices, and the relative cost of high accuracy GNSS receivers. While high accuracy GNSS has been adopted by the members of the spatial industry whose roles are dedicated to measurement, the cost/benefit ratio has been a barrier to the broader use of high accuracy GNSS by casual users of positioning – people who are primarily performing a work task from maintenance and inspection through communication and collaboration who in the course of their work periodically need high accuracy positioning. In the past, either compromises have been made on accuracy or the need has been serviced by bringing in measurement professionals. This innovation has been the development of an Android based soft GNSS receiver (a GNSS receiver that is purely in software) and low cost multi frequency GNSS antenna allowing smartphones to achieve accuracies of up to a centimeter using a globally available subscription service. Delivered using a positioning as a service business model the innovation changes the cost/benefit ratio to make the use and availability of high accuracy GNSS now affordable for the casual users where accurate positioning is required to support their primary job/task, opening up the use of high accuracy spatial information to a far more extensive range of users through a growing range of smartphone/tablet based applications. Visit the Catalyst website for more information. 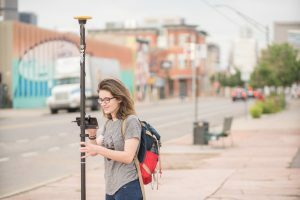 Trimble RealWorks allows you to perform a traverse type registration workflow even if your laser scanner may not have the capability in the field software. In the video below Jason Hayes, product manager for Trimble RealWorks, gives us a 25 minute tutorial to show us how. Behind the distinctive “bug eye” of the SX10 is the spinning prism for scanning, a tracking laser, EDM laser, a tele-camera, and tracking camera. Flanking the lens is the overview camera (left) and primary camera (right), and a plummet camera underneath. Gavin Schrock, land surveyor, technology writer, and xyHt editor, was lucky enough to visit the Danderyd, Sweden, facility of Trimble to share the story of the SX10 and its development. See the story of the SX10 on the xyHt blog. Harrison Grierson is an award-winning engineering and design consultancy in New Zealand. 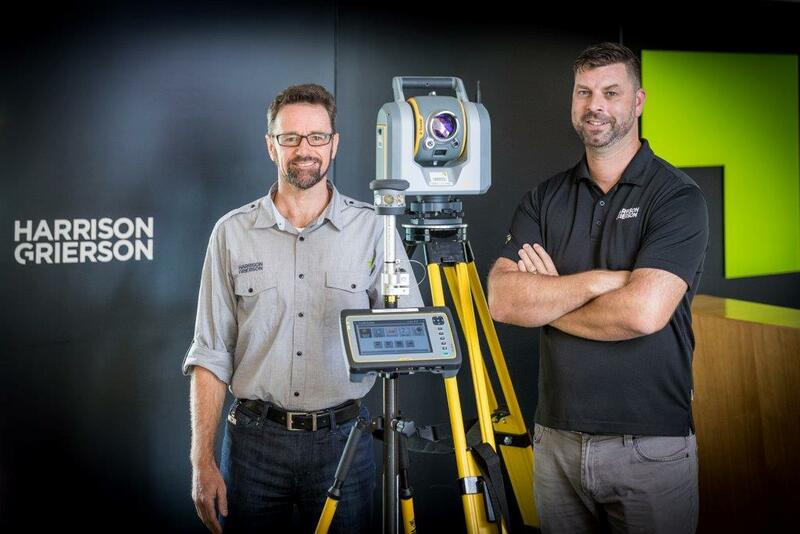 The company embraces new technologies and was the first in the Pacific region to take ownership of the Trimble SX10. Josh Mason and Daryl Murray receive HG’s new SX10. “The SX10 is ground-breaking technology and as well as providing our clients with a new level of service, it keeps us at the forefront of survey equipment advances. Securing the only SX10 available in Australasia gave us a major competitive advantage and transformed the service and value we deliver to our clients. It means we can now combine two separate workflows into one seamless operation, providing more and faster information than before. Check out HG’s 3D scanning page here. To learn more about the SX10, click here. Now is a great time to upgrade to the latest Trimble Geo 7X and change the way you collect data forever. For a limited time, Trade-in any Trimble GeoExplorer Geo6000 series handheld and upgrade to the latest Trimble hardware and software. 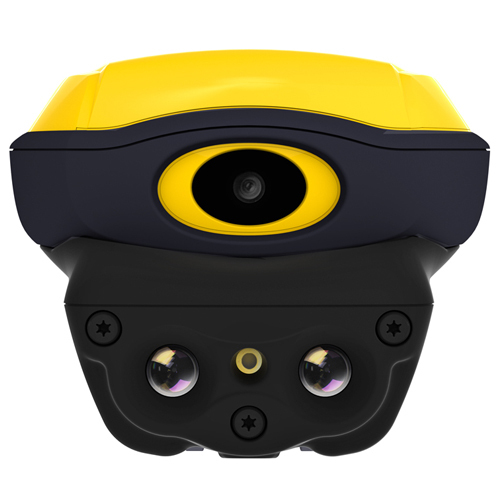 Multiple GNSS constellation tracking: The Trimble Geo 7X’s Maxwell 6 chipset gives you access to the GPS, GLONASS, Galileo, BeiDou and QZSS constellations – so gone are the days where you have to wait for satellites. The Trimble Geo 7X works where you work. Trimble Floodlight: Use Trimble ‘s latest satellite shadow reduction technology to keep you working in heavy overhead cover, such as trees and buildings that obstruct GNSS satellite reception. Now you can work with fewer disruptions and obtain high quality data faster whilst improving your field workers productivity. Trimble Flightwave: When capturing data is too dangerous or time consuming use the Trimble Geo 7X’s laser rangefinder to capture remote features quickly and safely. Simply log a position and then point and shoot to capture any feature up to 120m away. Alternatively, use Trimble Flightwave to measure the height of a pole or the distance between to two points and let the Trimble TerraSync software do the rest! To learn more about the Trimble Geo 7X, visit the Trimble website. Trade-in any GeoExplorer Geo6000 device between now and June 30th and receive up to $2,000 (NZ) towards a new Trimble Geo 7X. There is no better time than now to upgrade to the latest Trimble technology and I’m confident that you’ll be amazed at the results. Contact Chris Blazkow if you have any questions regarding the Trimble Geo 7X or if you would like a proposal.